The Vancouver Foodster Fried Chicken Challenge was a huge success featuring creations from restaurants around greater Vancouver. Each restaurant featured their Fried Chicken creation from November 5-29, 2015. Our media judging panel determined the ultimate winners of the challenge, and this was quite the task as each judge who tasted each creation with a rigorous process based on taste, originality/uniqueness and presentation/appearance. Our Media judges for this challenge were: Tara Lee, Sherman Chan and Stephanie Yuen. Description: Our Southern fried chicken is marinated in buttermilk for 2 days, fried then lightly dusted with Cajun spices and served with green beans, mashed potatoes then topped with a Cajun honey butter drizzle. 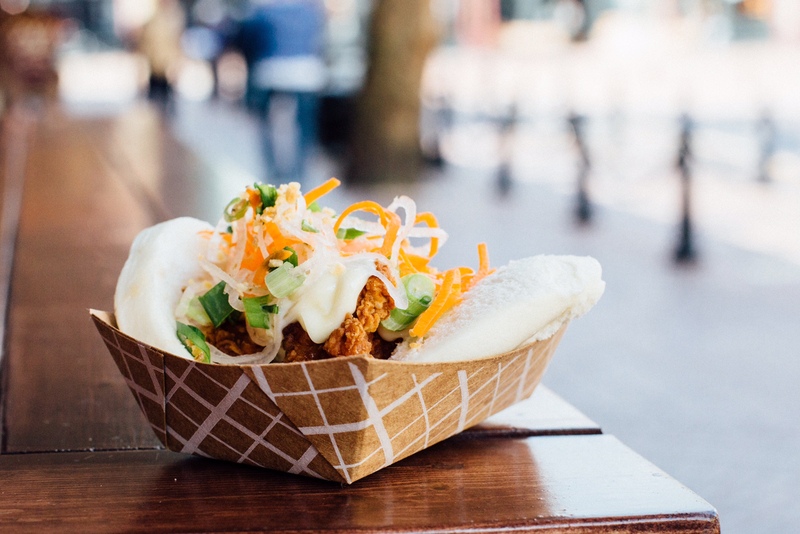 Offered: Both locations for dinner service. Coal Harbour starting at 3pm, Kits starting at 5pm. 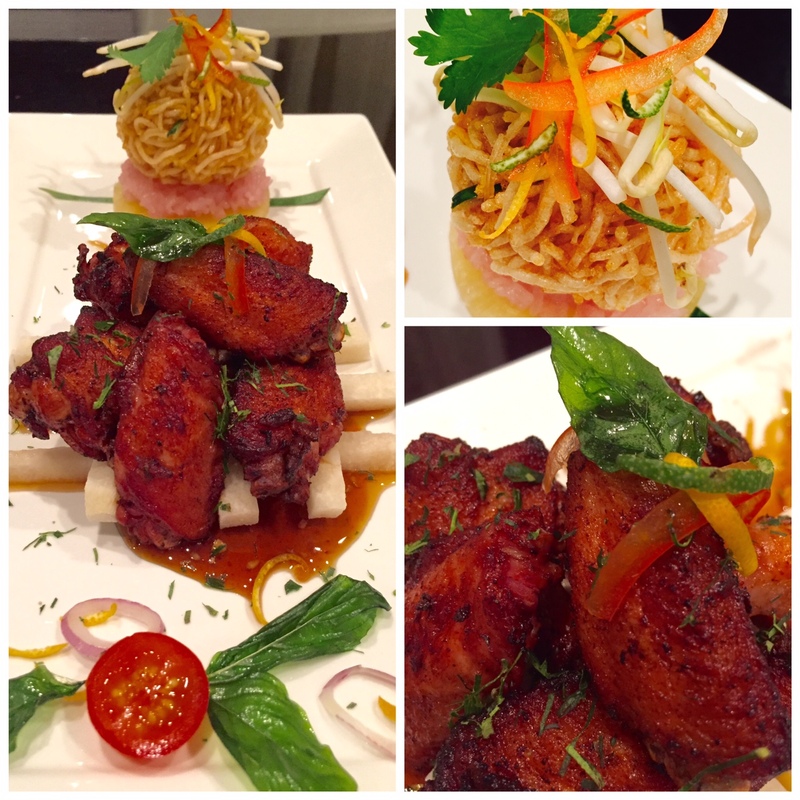 Description: Cured, fried chicken wings on a spicy ginger caramel sauce with ground peanuts, served with fresh Jicama root slices complimented with a pineapple / coconut sticky rice / sweet & sour crunchy rice noodle side. Price: $8 for 1 piece with fries and slaw, $10 for 2 pieces with slaw and $12 for 2 pieces fries and slaw. 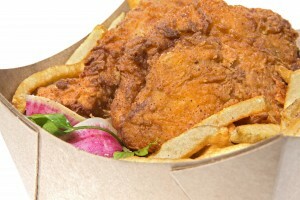 Description: Buttermilk brined, double dusted , honey caraway coleslaw, house cut kennebec fries. 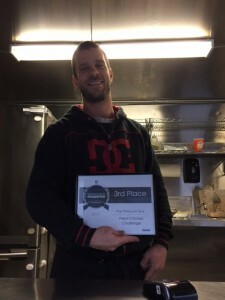 Offered: Available lunch Tuesday to Friday and Saturday nights at 33 acres … We do move around during the wee a bit but are at 5th and Quebec Wednesday lunch , 33 acres Wednesday lunch, and Georgia and burrard Tuesday and Friday. Tuesday to Friday lunch at Georgia and Burrard and Saturday nights at 33 acres brewery. 5th and Quebec Wednesday lunch , 33 acres Wednesday lunch. 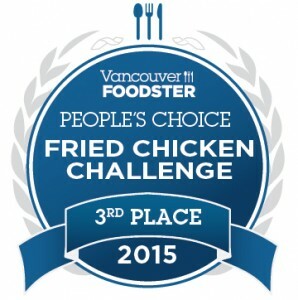 In the People’s Choice Awards category, the public who tried the Fried Chicken creations were the ones who had the opportunity to cast their vote throughout the challenge. 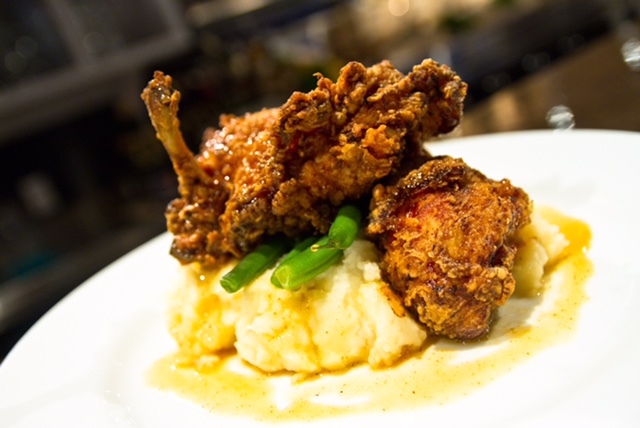 Thank you to the chefs and restaurants that accepted my invitation and featured their Fried Chicken on the menu for the past few weeks during this challenge. I encourage you to visit the winning restaurants to try their Fried Chicken creations! See the entries here.